Financial support from the NSF (SES-0550699) is gratefully acknowledged. 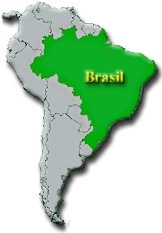 The following files provide converters between the Brazilian sector classification systems CNAE (cnae) and Nível 100 (niv) on the one hand and the US sector classification systems NAICS (naic) and SIC (sic) on the other hand. The report "Definitions of Brazilian Mining and Manufacturing Sectors and their Conversion" ([pdf 383k]) describes these derivations. There is also a novel converter for international classification systems, from SITC revision 2 at the 4-digit level to ISIC revision 2 at the 3-digit level. The report "Converter from SITC to ISIC" ([pdf 118k]) describes that derivation. The following files provide converters between the Brazilian classification systems CBO-94 and the International classification system ISCO-88. Last modified: April 5, 2010. © February 1999 and January 2003. All rights reserved.